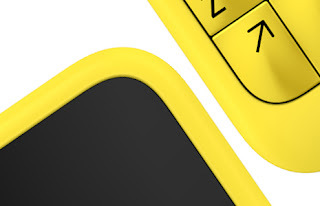 Nokia tease a qwerty smartphone with their iconic bright colours! Official teasers are always interesting. Sometimes they're good, sometimes they're frustrating and sometimes they tease you just about the right amount. It seems Nokia's latest device will keep up their iconic bold design, but it also looks like there's going to be a qwerty keyboard here too! Judging from the picture it seems as though Nokia have created a device with a physical qwerty here and if our hunch is right this phone will probably be like those old touch and type devices and it'll probably be a candy bar device running Symbian so there won't be too many bells and whistles, but it should be great for emerging markets! The device was meant to have been released this morning, but we can't track down anything on Nokia's press sites at the moment, but if and when we spot anything we'll let you know the full details!